Use your stencil as a basic outline of your chosen photo. 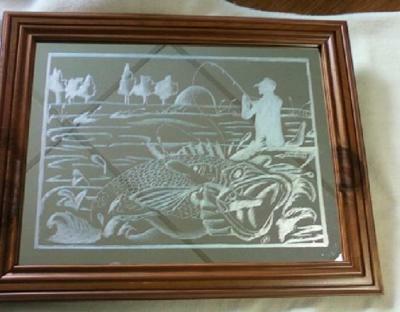 For example, use a stencil to make your fisherman, trees and fish. After you finished stenciling, get a picture you can use for reference and with a marker, pen in the details. Also, add a background image which will pop your center design. Once again use a reference picture if you need to get a feel for the tree texture or other details.